During ancient times Europeans wore metal neckpieces and bracelets that were twisted into a rigid ring called a Torc. 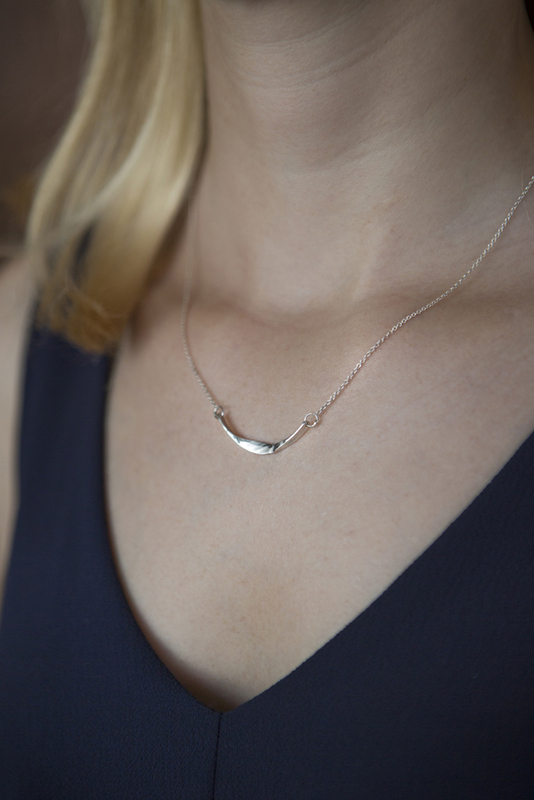 The word torc means to twist, so Kaminer took inspiration both from the ancient forms and the meaning of the word to design her Torc Jewelry Series. This hammered pendant began as silver wire that was forged on two sides to create the twisted shape. It was hammered multiple times to create the final form. 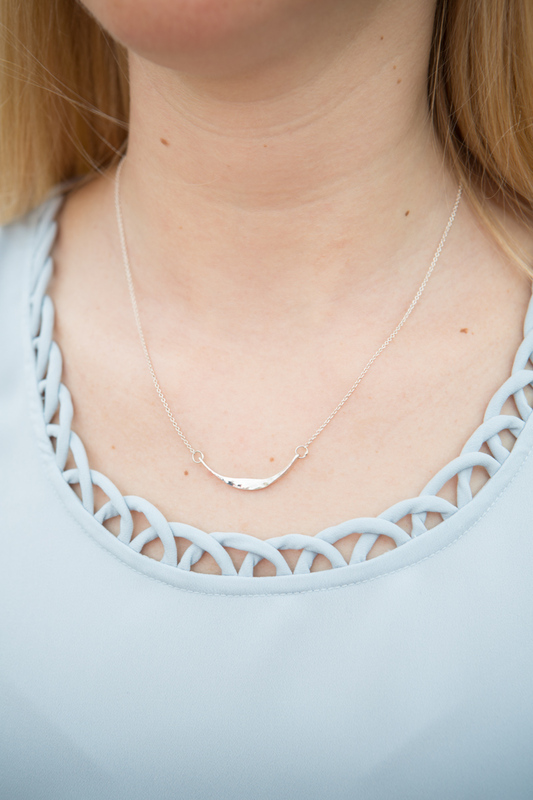 This delicate, everyday necklace adds a simple touch and goes with any style or wardrobe.